This next needful thing is kind of funny….when these first came out I was laughing…why would you buy those things…I don’t need clips to hold my binding while I stitch…well…here is the story…I think I am starting to get a little arthritis in my hands(bummer right! I’m hoping its just overuse…lol) Well with the help of these babies my hands hurt ALOT less when I bind! 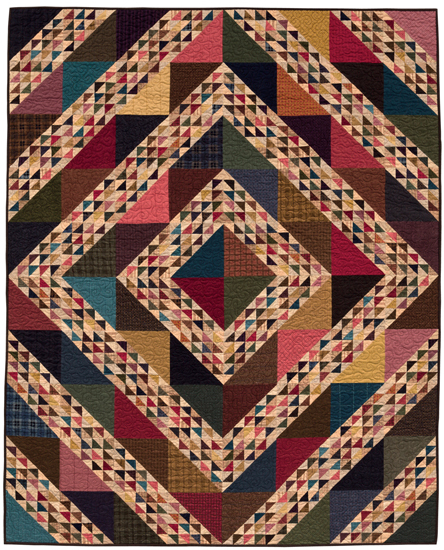 I love to bind a quilt…I’m excited because it will be done soon and I can start something else!!! So to make a long story short…these are needful to me NOW! So whether you have some or have never tried them yet…I think we will all eventually NEED them as it much easier on my hands and this is important to not overuse them if I can help it and these clips help me to not crank my hands around to hold that binding in place. Stock up with our 50 pack on sale for $25.40…I notice some ladies have them all the way around a quilt.. or try the starter pack of 10 and keep moving them around while you are binding…on sale for $5.60 Click HERE for 12 Days of Christmas shopping. I was painting the new store all day yesterday and my phone does that little jingle every time someone leaves a comment….everyone thinks I have way too many friends….I didn’t tell them about what’s really going on! They were like…does you phone do that ALL day long??? I’m like YUP…so I read some of the comments at lunch yesterday and on the ride home…In CA you ride to and from work a lot more than I am used to! My mom gave me some of those clips a while back. I love them, very helpful in binding a quilt. I have about 10 of them and I enjoy moving them around the quilt as I bind. I have and LOVE these clover clips! I used to scratch myself all over with pins so these are a lifesaver! I do not have clips or use anything except my fingers, like you wondered why anyone would really need them, but, also like you, have noticed lately my fingers are cramping up, getting sore doing that final, favorite part of the quilt. Maybe its time I tried them…. I received a few from a gal who owned a quilt shop. Tucked them away and sort of forgot about them. Remembered I had them when I was EPP and the rest is history. Love how they hold those little pieces of fabric as you move around the hexies. Bought a box after that to use when binding my quilts, perfect. It will be interesting to read how others might be using them. Would love to win them already have arthritis in my hands so bad that I cannot straighten my fingers doesn’t keep me from sewing though. These clips are the greatest thing since sliced bread. They stay put and are easy to open and re-position—two thumbs up! I myself do not have any of these but a friend does and she raves about them. I have not seen these clips but have used hair clips for years. I put about 15 on at a time and just move them as I go. Sure beats getting stuck by pins. I’ve been using them for quite a while now. I used to use the hair clips, but these are easier on the hands. Besides binding, they are also good if you have something bulky to sew, they hold the layers together well. These are even better than binder clips for holding they layers together. Like you, I initially thought that I didn’t need these clips until I recently tried them out. They do save your hands from cramping when you sew bindings and keep the corners nice and flat when stitching. They are a really great tool in my toolbox! I already have these and I love them. I am like you and scoffed at the idea when I first saw them. Then I was at a class and watched a gal bind her quilt using them and I was sold ! I only bought the 10 pack and I would love to win some more. Thanks for this opportunity! A friend gifted me air he amen pack a couple of years ago and I love them but would sure love to have more . Thanks for the chance . I use these clips and just LOVE them, don’t know how I did without them, didn’t like the hair clips at all. Would just love more of these. Thanks for the chance to win. I have never used the same little clips. Still doing using pins, but I stick myself all the time. Looks like something I need to try. Love these crazy clips!! I would love to have more!! When binding a quilt my hands hurt. I always thought it was “overuse”. It takes me SO long to finish a project that when I get to the binding I don’t put it down until it’s done! I always tell myself to slow down next time so I don’t overdue it, but I dont. Can’t wait to try these. I have them and use them. They are VERY handy. I need more so will be ordering the big pack. That way I can share some with my quilty buddies. Then they will order them too! I use hairclips and have thought they worked fine. But I have serious arthritis in my hands so I’m interested in knowing whether or not these work better than hairclips. I have a ten pack and love them. I really would love to have more. Thanks for the chance to win. I am excited to try, I will be getting some. Thanks Lisa! I love these clips, but have also found that if I press my binding in half before applying and then press it after I have sewn it on it is easier on my hands. I press from the front and also fold the binding over and press. I already have these clips except they are from about 10 years ago and as my hands are much older than yours and they are not just “needful” for me… they are “mandatory”. I had to have a thumb joint replacement about 25 years ago and these wonderful little things keep me in the game. Great tip for those of us with wrist and hand issues. I will try them, have used the black paper clips from work. Wish I would have thought of them. Very handy! People that make totes and purses use them for parts placement. I have a small pack of these clips and also love to use them to hold layers together when making a tote or bag. They work a bit better than trying to pin through several layers (where the pins bend). I could definitely use more! I love mine! No more getting stuck from the pins when sewing down the binding. Plus, I’ve seen that some use them when basting while English Paper Piecing. They are handly little gadgets! Love the clips. I have a few but could use more. I LOVE these clips! They’re great for binding. I uses to use the metal ones that look like hair clips but thes hold much better and are easier to handle. They have a flat side so they’re much better to use at the machine if you prefer to machine stitch your binding. My favorite use for them is to organize small pieces for hand stitching. I like to English paper piece and I organize and clip my blocks together. I always have at least a dozen blocks ready, so can drop one or two in my purse to take on the go for kids sporting events or long waits at dr appts etc. I don’t have to worry about pin marks or drag a bulky organizer around. They’re very sturdy and definitely one of my favorite notions! I use these for English paper piecing. I haven’t tried them for binding – I will definitely have to give it a try the next time I actually finish something! I really, really love these clips. I gave some to a good quilting friend because they make binding so much easier. I use the Wonder Clips all the time. I have also used them to hold up a hem when I am turning up a pair of pants. Love Love Love them. I can identify with the arthritis thing. DANG! I also read these little clips are great for holding the fabric on the paper when basting hexies! An absolute MUST when sewing on binding! Love them and use them consistently on binding. It avoids getting stabbed by pins! I love these little clips. I have the same aches and pains in my hands and reducing the amount of carbs I take in has greatly helped. It helps with all my aches and pains as a matter of fact. I love these clips. Like you, I thought- why on earth would I need these?- however, used them once on a quilt binding and they are fantastic. No more sticking my fingers with pins. I also use them to hold blocks in groups of 10 when making many for a quilt to make counting them easier. Love these clips. I was given a set last Christmas and have added a couple of more packs. Think I need more now that they have different colors. Used to use black paper clips from Stables…always in the way even the mini ones. Will certainly put these on my list. I love to hand stitch but find it is harder as my hands a d fingers cramp up. I love love love these clips. I use to always pin my binding down but would always get picked by the pins too. Now I have a box of 50 clips and use them all if I have a big quilt. I also have arthritis in my thumbs and these help immensely!!! Don’t have them but they sure look handy! I also use these clips to hold binding down. 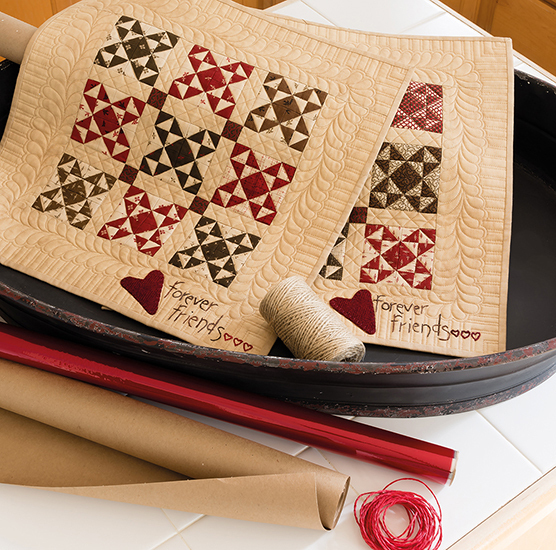 In addition, they are great when paper piecing hexagons – no more “sticking” myself when I brush again my sewing! I have these and I do use them, and I have to keep buying more because I loose them. Tell those who ask, you are the most popular kid on the block! Merry Christmas to you and your family, I know this year has to be really hard for you. Hugs sent from Georgia! I need to try these! I’m tired of getting stuck. When will the store in California be open? My best friend lives close and I want to send her in. I use the hair clips for my binding but would love to try these! I love my clips!! I too have issues with my hands and these are wonderful for my binding! These work great for all sizes of projects and especially when you are on the go. Hugs and God Bless to you and your family this Christmas season! I use the hairclips for my binding. Would love to try these. I used to use pins and was always poking my fingers. I switched to the hair clips but those fell off all the time. These clips are THE best! I also use them to hold knitted pieces together while I am seaming them. I have the 10 pack and use them all the time…I used to used hair clips and still do sometimes. I have arthritis in my hands as well. The clips are easier to open and close. You can also use the clips to hold alphabitties when constructing your quilt. These clips are really helpful at corners when you bind! Really helps make them perfect. Presses those corners into submission!!!! I have been using wonder clips since they came out. Love them for my binding. Also good to use when you are sewing on a zipper and sewing with clear vinyl. They cut down on distortion that pins sometimes cause. I am the “baby” of our sewing group at 62 and don’t have any clips. I’m told they’re wonderful little tools so am thinking I must give in and buy some! I’ve seen these little notions before and thought they were a bit crazy…..now I understand the needfullness of them!! 😊. I don’t have them yet….but they are a Great idea for those “seasoned” quilting hands!! (I won’t say old)! Thanks for sharing another needful thing! Have not tried these yet, but think I will have to give them a try. I love these clips. So much easier on my hands than the bent hair clips were. I also clip small applique patterns together before I iron them on my fabric. Such an exciting time for you and for CA. I hope they appreciate what they’re getting! LOL! Love the little clips. Wish I loved binding as much as you do. Happy painting! I look forward to seeing your new store. In the past I used hair clips to hold my bindings and that worked pretty well. I bought a small package of these Clover clips and find that they hold the bindings much better as I hand sew my way around a quilt. I have also used them for sewing projects other than quilting to hold several fabrics together. Would love to have more of them and yes, they are a needful thing. I have both the hair clips and about 20 of the Clover clips. I like using both of them for binding. I have discovered that they don’t “play” well together. I either use the hair clips or the red Clover clips, but not together. The binding isn’t held in place correctly when I use the two together. Can’t wait to see the photos of your newest creation, your CA store!!!!! Merry Christmas! I love these little babies. I use 3 of them while binding a quilt and advance them as I get the binding attached. They’re especially helpful to hold the corner square until I get it sewn. These really ARE a lifesaver! Binding is so much easier with them. I also have the super large ones (green in color) and they help me keep all my fabric together instead of using metal binder clips (which have rusted on occasion ruining my fabric!!!!). If you don’t already use them – once you will you will not be able to live without them! So far I have only used the hair clips for binding. I have thought about these cute little clips. Never use these. I have the hair clips. Did not know they were available. I’ve got the hair clip ones but never use them, think I’m going to look them up and give them a try so I don’t have to fight with that binding anymore. Wonder clips are absolutely needful things! I have used them for bindings and many other ways as well. They are a wonderful gift idea also! I really like to use binder clips. I like to do this a day ahead of time. This sets the binding so it stays in place as I remove the clips. I have never used clips. When I bind I just use pins, usually just two…keeping them just ahead of where I am stitching. Maybe I should try the clips. I used to used pins, but sometimes the pokes were lethal; I resisted the gadget of the clips until I tried a few…wonderful–then bought the 50 pack. These clips are the best. No more getting stuck by my sharp pins! I use them whenever I bind a quilt. 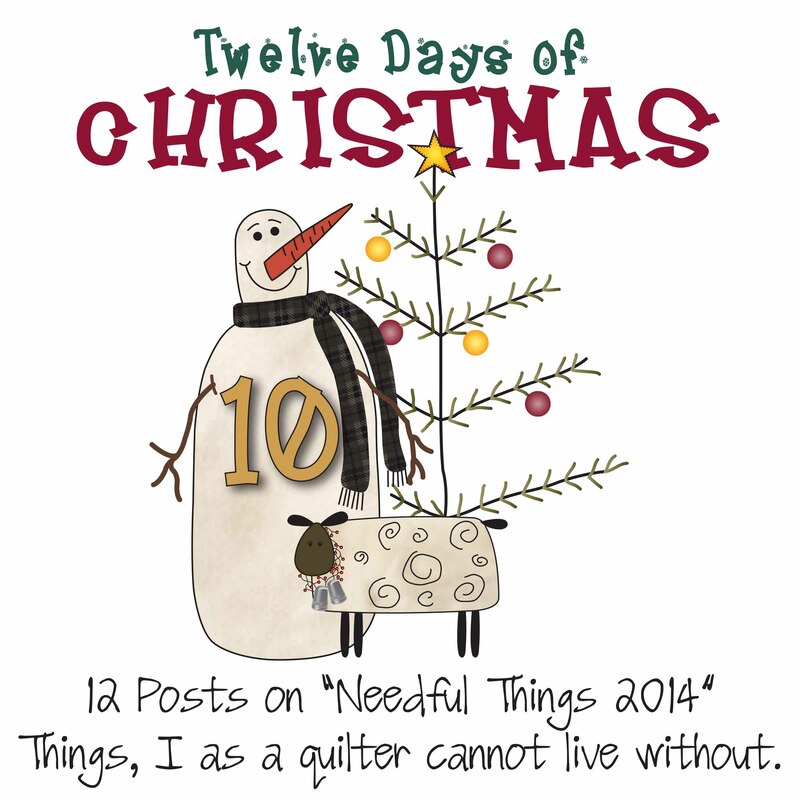 Thank you, Lisa, for another round of Needful Things! Yep…I use and love the clips too. Used to just use pins, but that was a pain (literally, sometimes!) – the clips are much easier. I only use 10 or so at a time, instead of doing the whole quilt. Congrats on the new shop – let me know if you need help! I like to use both the hair clips and the wonder clips … whatever is nearby. But I do use the wonder clips for other projects like making baskets. I will hold the fabric on the clotheslines using wonder clips. Have them, use them, love them, would love to have more! I bought the 50 pack when it came out and still never have enough. Like Nancy’s idea of setting it up the day before to set the fold. I have not tried these but they look pretty strong. I have the hair clip ones, and they are not bad. I can sympathize about sore hands! I have these clips and love them. I use them also for separating or grouping small quilt blocks together. Love those clips! Got them as a gift one year and they are a lot better than using hair clips! I really look forward to your needful blog…it gives me insight on products that I may not have noticed. Thank you for bringing these to my attention…just might need to buy some! I use long straight pins and horizontally pin my binding down because like you I have arthritis in my hands. I used to hand quilt all the time but if I do that now it has to be in short increments. I’ve seen these clips and it looks like these would work way faster than pinning my bindings down. I have the small starter set and love using them as I turn the corners. They hold that miter down perfectly. I have them but haven’t used them yet. I have them and I love them – but always good to have more for when you misplace. Much better than binder clips that are like hair clips, easier on the hands and nails. Couldnt do without those clips, love them. Even use them when I am doing EPP. Have the large red set and even some of the green ones, great for when working on bulky bags. Since I am a cancer survivor would even love some of the pink ones! Great choice and hope to win more. I have the small pack and love them! NEED the bigger pack. Love the wonder clips, they make binding a quilt so easy! Also love them for paper piecing to keep stacks of fabric together and in order!!!! Had them, gave them away, didn’t think they would work better than my pinning method but am always open for trying new things if I hear good reports about product. I use the hairclip things. I bought these shortly after they were introduced. Like you wondered if they really would be better than the hair clips I had been using. The answer is yes. These hold binding in place without leaving crimp marks , which the hair clips did. I also think these actually hold the binding in place better. I have 10 of these clips and really need more! I have used hair clips, clothes pins, straight pins etc. the clips are the best. Thank you! I have them Lisa. They have SO MANY uses. Last month I had to re-glue a lampshade that had been tipped over. Yup! Two held the pieces together while my gluegun did the work! I used them to mark spots on my quilt top that needed unstitching to make the seams nestle. No pricks from straight pins anymore. Congratulations on your new venture Lisa. I wish you well. As a California native with a Wisconsin born husband you’ll find a lot of things different in the Golden State than you are used too. 🙂 All best wishes with the new store. As to the binding clips I was taught to use them in one quilt class and always used them but I found hair clips less expensive than “quilter’s binding clips” . I have not seen these but am always interested in trying out new quilting products. I have been using the hair clips but would love to try the Clover clips. Like you, the overuse is starting to be a problem. Maybe these will help. I used to use hair clips but now I use Elmer’s school glue to glue down the binding before doing the hand sewing. Love this method. Sharon Schamber shares her method on a YouTube video titled Binding the Angel. No clips needed! But it sounds like there are many other uses for the Wonder clips. Would love to give them a try. Definitely a needful thing! I think they are great. I’ve got the packet of 10 and just move them around as I go! Love these clips! Best things ever ! I have a small package of these clips and love them! Love these little red clips. I discovered them last Christmas and use them for binding and hemming- pants and kitchen curtains. Last week a co-worker asked if I had any safety pins because her tank top was hanging too low, I replied no, but have these cool red clips that could work, so she clipped them to her tank top and bra. Looked great all day with no slipping and the clips even even matched her red shirt. Merry Christmas! I have the small pack of these clips and have not used them yet. To be honest, I kinda forgot that I have them. I will now get them out and try on my next binding. Thanks for the 12 days of Christmas. I have tried using those snap clips that look like hair clips, but I found that I can bind without them! I did pass them on to my quilting friend who loves them! I’m thinking that the Wonder Clips might be useful for other things than binding so I’d like to try them out! I LOVE these clips! They’re great for binding. I used to use the metal ones that look like hair clips but they would shift. These hold much better and are easier to handle. They have a flat side so they’re much better to use at a sewing machine if you prefer to machine stitch your binding. My favorite use for them is to organize small pieces for hand stitching. I like to English paper piece and I organize and clip my blocks together. I always have at least a dozen blocks ready, so I can drop one or two in my purse to take on the go for kids sporting events or long waits at dr appts etc. I don’t have to worry about pin marks or drag a bulky organizer around. They’re very sturdy and definitely one of my favorite notions! I have the wonder clips and love them for binding when riding in the car. (I’m not dropping pins all over the car seat.) 🙂 They are especially helpful when binding small projects like coasters or ornaments that have Temtex in them, or multiple layers of folded fabric, as pins are not easy to get through. Thank you for the snow-shower I get when I’m on your site. Fun! Smiles & Best Wishes to you as you enjoy your new venture in CA. I absolutely love these clips. I use them for binding and then I also use one to help hold my fabric down when making hexagons with the paper templates. They are wonderful! I would love to try the clips. I currently use the hair type clips. I use the hair clips when binding. I think the Wonder Clips would be great for so many things beyond binding. My clips came from a quilt shop class. They are soooo cute. But, I still use 12 colored glass head pins to bind and keep moving them as I hand stitch. I use one clip to mark the beginning /ending and it can be seen easily as I sew my way around the quilt to the end! I know….. silly but don’t we all have fun quirks when we quilt? The red clips also look really cute clipped on the flower head pins on the pin cushion. I love the Clover clips! I have used the red clips for years but of course I had to have the pink clips when they came out. LOL They’re the best! (Which is why it’s perfect that Primitive Gatherings has them as a “needful”.) Merry Christmas! Love these! I have red ones, and I’m thinking pink would be sweet! Yes ma’am, these are awesome!!! 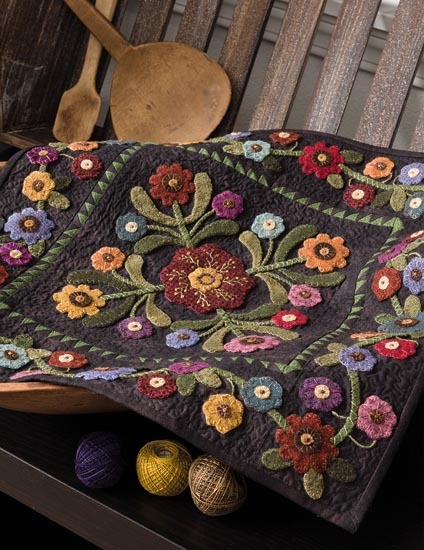 I move mine around the quilt as I go… I agree, the binding becomes an exciting event. Take care of you!!! I bought these for my sister as part of her Christmas. Now I think I should get some of myself. I have never used these clips, but if it makes finishing easier on the hands, I have to give them a try. I just pin the binding and untangle my thread every few stitches. There obviously is a better way. Thanks! I use the clips that are like hair clips for bindings. They help the hands especially with big quilts and lots of binding. Everyone should give them a try to help their hands! Thanks. I have never used the clips before. I can relate to the hand and “elbow” letting me know that I have overextended using these two precious parts of my body. I have used pins and stabbed myself. I have used my daughter’s hair clips and have seen that others use small office paper clips. I wanted to try this also. How sturdy are the clips as they are plastic and I have a constant breakage with plastic. Stop painting! Save your hands and shoulders for quilting. I’ve used the hair clips for years, I would love to move up to the Wonder Clips. Thanks. I had been using the hairclip style when binding for a few years and didn’t really see the need for a yet another notion, but I got the Wonder Clips for a discount and they are so easy to use. I have the small pack and just move them around the quilt as I bind. They are useful for many things, but for binding they are the best! I have been using the hair clips for several years but wouldn’t mind trying these. I do have arthritis but never really thought about them helping with arthritis. Thanks for the tip. Have used these for a few years. I find one or two does the trick for binding. I just keep scooting them along as I stitch. I love the Wonder clips. You can never have too many, they are great for more than just binding. Lisa, you never cease to amaze me. You out do the Energize Bunny any day of the week. Thanks. When I created my last art quilt, it was just large enough that it had to be rolled to get it under the opening of the machine. What a conundrum! I ended up rolling it and pinning it which was far less than perfect. I think these clips would be a perfect solution. I agree with the previous comment. Unfortunately, as life goes on, you need to make choices as to what you do with your “instruments”……In your case….your fingers, hands and shoulders. Stop the painting. Continue the creating and making!!! Hi Lisa, I love these! I have the 50 pack and it still isn’t enough. I use them for everything. I clip together strip sets or a stack of blocks or I even clip it to my design wall with a note to myself. There are really so many uses for them. And of course, they are awesome for binding. I used to use the hair type clips, then two years ago, a friend gave us (our retreat group) a starter pack for Christmas. We all have since bought more and even the larger ones, which work great for holdin pieces of blocks together (instead of pinning, and jabbing) and even blocks for rows as you sew. They are great and a wonderful tool! I love these clips. I started using them on bindings and now I have used them on many projects. I use them with my knitting, seaming pieces together. Good to use when making bags and holding together lots of layers. I would not be without them! I use some mini, doll clothespins I found at a dollar store. They work perfect, are small and easily stored! Plus side was also the price! When the last of my ‘barrette clips’ popped at the weld, I broke down and bought these. They are a wonder…I can measure and clip at the same time so my bindings are always balanced front and back! And the corners are smooth enough that the thread doesn’t hang up if it gets looped the wrong way…just slides off. I use them many other ways, as well…you could never have too many! I definitely use these clips! I use them to bind quilts and to hold hexies while I baste them. They are a great tool! a few out for his workshop projects. I love these little clips, especially the pink ones! I love these little clips. They make bindings go so much faster! I’ve also used them to hold my collar together for warmth when it is extra drafty in my sewing room ( my machine is close to a window)! Very fashionable. I have 10 and use them a lot, I have hand arthritis too. I lik . The comment someonecleft about using them on hexies. I hope you really aren’t up at 4 a.m. , the time your message posted here. Bummer, another thing happening as I approach sixty! Thanks for the heads up. My favorite part of the quilting process is to attach the binding. My two little bichons love it, too. I don’t know why but they like to get in my lap and lie on the quilt in the process. I like using these clips because I don’t need to use pins – no more poking myself or the dogs. I love the clips. I use them for binding and holding my hexies together while I sew them. I use three 50 pks. Pink of course. I am loving your needful posts. Congratulations on new shop. I’ll be visiting for sure. I love these clips!! I used the hair clips for many years but these are SO much better and yes, kinder to my arthritic hands. I make Little Dresses for Africa and these clips work so well to hold the bias binding in place when you’re sewing it around the armholes to make the ties. They had me at hello!! I never used them until this year. I always held the binding down with my left thumb and stitched with my right hand. I did try the hair clips but the don’t stay on.. I seem to have put these clips in a “safe” place and now I can’t find them, LOL! Would love to have another pack of 10… Anxiously awaiting the opening of the new store! Gosh I guess I really needs or try these. My hands hurt when I bind also, but never thought a binding clip would help. Definitely going to take advantage of the sale. Thanks for the tip! I haven’t used them but have heard many praises about them, so maybe it’s time. I have been using plastic electrical clips but sometimes they are very bulky. Thanks for the chance to win! Sad, sad state of affairs, I only have the hair clip binding clips. Genius idea! I have never used them but I would love to try them. I have three quilts waiting to be bound. Thanks for the tip Lisa! I have never used any clip, just my fingers. Maybe I should give them a try. Thanks for the info. Oh boy! The joys of aging. I haven’t tried that type of clip, but I love how they look. I have used those snappy hair clips for a long, long time. But, I just might have to switch over. Like you, I questioned the need for these when they first came out. I had just barely started using the hair clips at that point and thought they were amazing, compared to the pinning I had been doing. Then I used a gift card to buy a 10 pack “just to see”. I think I have around 70 clips now and I clip as far as they will go when I bind. Like your first commenter, I find they do not hold mini binding as securely as I need them to. I stick with pins when sewing down really narrow bindings. Here is another ring for your phone! Good luck with preparing your new shop! How exciting!!!! I currently use straight pins and pin a section at a time when sewing on the “by hand” part. Clips sound a lot quicker – will be ordering! Thanks for the suggestion!!! Have a lovely day! I love these not just for binding; they are like paperclips for fabric. Small pieces gather together and clip. I haven’t tried the big ones yet but they might be nifty with wool. Jingle Jingle — Love those little Wonder Clips! They really work well. I have a small package of them and really like them! They are great for binding. BUT what I REALLY want to know is, WHEN is the new shop opening?! We SNOWBIRDERS want to know!! If it’s this winter I will be chartering a bus full of quilter ‘chicks’ heading to Murrieta from the Palm Springs area! Yeehaw! Bring it on!! SEW exciting!! I love these clips! I use them when making bags where you can’t use pins because it’s too thick and making leather doll shoes too! I only bought the ten pack but could use more!! I still use hair clips, especially to hold the corners down. My hands are beginning to hurt after a stitching binge and the clips make the binding job easier. Yes, they are needful, and the more you have, the more you need–plus they are pretty cute! I have never used the clips. I’ve been using the plastic coated paper clips or I use pins. I would like to give those a try. Thanks for the tip. I love these clips! Of course I use them for binding, but I also use them to hold sets of blocks together, to mark specific positions on my blocks, and to hold labels onto my fabrics. I find new uses for them all of the time. These clips are awesome. I also use them when I am basting EPP hexies. I used to use hair clips I bought at the 99cent store. Then I won the Wonder Clips. I love them. I use them anytime I need to hold two pieces together and a pin won’t work. My friends all use these, so I think there is no better time to give them a try for myself!!! I have seen these clips and wondered about them. I have always used the hair clips and they work well for me. Maybe one day I’ll splurge on these new ones. I guess I’m a little out of the loop because I usually pin the binding in place. I pin about 6-8 inches ahead of myself As I stitch to a pin I move it to the front of the line of pins. I Do pin complete corners though. I have been using hair clips but they don’t always hold with the accuracy that I like. Pins are a pain to use. I look forward to trying this upgrade. I love these. I use them for binding and holding my cut pieces for a quilt to take to class. I was gifted a 10-pack. I haven’t used them for binding but have to hold fabric layers for my granddaughter in training. I’ve also used them for cutting traced appliqué stacks. I still pin baste my bindings the old fashioned way but I’m anxious to try these new clips soon. I typically didn’t use anything when sewing on binding either, but have tried a few different products over the last few years. I too have come to love these clips. I have to say that I probably use them more for other things besides binding such as holding strips or pieces of fabric in groups for a project so I don’t mix them up or lose the pieces. I use the clips to hold paper numbers on my rows as I sew a quilt together. I have used them to hold a pattern next to my sewing machine and also have used them to hold back fabric in my hoop while embroidering in small places. I have even used them to hold small wood, ribbon and paper projects together while the glue is drying for card making or scrapbook projects. I reach for these clips all the time. I’ve used the hair clips for many years but always find that a couple have sprung and fallen off the binding and then I find them here and there around the house. Looks like I should try the Wonder Clips. I LOVE Wonder Clips….I have two small packs of the small red ones and a pack of the larger green ones. I use them for binding and anything else that I would use pins for. The large ones are great for keeping block pieces organized and holding heavier seams. I recently learned that the small clips have 1/4 and 1/2 inch markings on them and the large ones have 1/4 , 1/2, 3/4 and 1 inch markings. I love them and use them all the time! I have never tried these as I have always just used hair clips from the dollar store. Like many fellow quilters I used to pin baste my bindings. This resulted in me endlessly pricking myself, getting my thread caught up in the pin or in one case ripping the edge of my finger open when one of our beloved Golden Retrievers decided to hop up on my lap while I was attempting to pin down a new section of binding. A friend told me about Wonder Clips and I LOVE, LOVE, LOVE them!!!! Love these! I included them, with a cute little container to keep them in, in my Christmas gift to a quilting friend. So. Uch better than any other clips! I don’t like things to get in my way when I bind. Until I found out about these little clips. They are wonderful. I started out with ten and then my daughter-in-law bought me 50. So I have some in MI (where I am part of the year) and the rest with me. I am so glad I let them into my life…they make binding easier. Thanks for posting all these needful things. I love those little red clips and have dzs. of them. I did use hair clips before but they tended to snap open when the binding got heavy. So glad these “needed” clips came along. I’ve never had a chance to try them but would love the chance to win a starter set and see how it goes. Thanks so much for your generosity Lisa. Merry Christmas. I have used the hair clips, but somehow they got lost in my scattered sewing supplies..Ugh! Thank goodness hubby is making an awesome sewing space for me. It’s about a week away from being finished. Hopefully I will find them when I get everything moved! I like using them better than not using them, for sure! wool, felt and fur. The binding is coming and I’m looking forward to no tiny scratches from pins. I absolutely love them! I purchased a small package 1st to try & then bought the larger package. I have some of the larger size too but prefer the smaller red ones. I cannot live without these. I love that after they have been on the binding for a little while, the binding is “tamed” down and sits in place while you stitch it. Yes, I already have some wonder clips, and they are wonderful!! I used to use “hair clips”, but the wonder clips work so much better!! You can never have too many of them!! Love those clips!Love that you are opening a shop so close to me!!! I received these clips as a gift and had never used any type of clip while binding a quilt. I decided to give them a try and can’t do without them. A great product !!!! EVERYONE should take advantage of this offer and get them. You will love them !!! I use the hair clips for my binding. One of my friends gave me a set that she’d decorated with covered buttons. Sew cute! I also have the clover clips and tend to use them for other times when I need a third hand. I even used then to help with basting hexagons to the template paper. I’ve never used these clips. I usually use paper clips which are a pain. Can’t wait to give them a try. Happy Holidays! These little clips are as helpful to me as my rotary cutter and rulers…just really make the job go smoother and easier! Love these clips. I use them for holding patterns together and they are great to hold your fabric and pattern when tracing a design. im ordering more– they’re like friends– you can never have too many!!!! Love, love, love ’em. No more pin pricks, etc. they are wonderful for binding and I would not bind any other way. I also use them to clip more and more things, like rows of blockd as I am assembling a quilt top, to hold paper and fabric when I am basting hexies, especially very small ones, to clip pieces together when I take pieces of a block off the design wall to sew. No more distortion from pinning, and no pin pricks. Win, win. i have them, but hardly ever use them. i like to iron the binding down and just sew on from there. I don’t have any of these clips. From all of the comments, it sounds like I should try them! Thanks for the chance to win! Happy Holidays to everyone! I’ve been pinning as I go but was thinking of getting the hair clips (my thumbs are going through some major aching) to help with holding things in place better. After reading all the comments, I’m in for trying these Wonder Clips out! Thanks! Good luck with getting the store ready! I do not have these clips but have seen other people use them and they spoke well of them. I like binding too! The goal is nearly achieved. I don’t have these clips. I saw someone using them and asked how she liked them. She had just gotten them but said so far she did. I said I did’t like the hair clip kind and she said she didn’t either that these were much better. Good idea…..I should get some. I so agree with you about these clips. I got some last year and use them to do my binding( my favorite part of quilting). I don’t get blood on my quilts anymore. I use the old hair clip do-dads but these are so much cuter 🙂 I should get a 10 pak just for fun! Have been using the hair clips, but these are so much nicer!! Merry Christmas to you and yours! I have these clips and love them. I actually have both the small and larger sizes. When I went to the Nancy’s Notions warehouse sale this past Spring, the Clover Rep was there and I spotted that he had the large size clips in purple and I went nuts. He gave me a handful of them and said they were going to start marketing those to quilters soon and that they’ve had the purple for awhile but were marketing those to knitters. I was happy to hear us quilters got the purple ones too. And now they’ve come out with bright Neon Green too. Alot of people don’t realize there are markings on the back of the clips to help you in placement and stitching which makes them even nicer to use so you aren’t going to stitch through a clip. I have been using these clips for some time now they are wonderful started with the smaller red ones then went to the larger green ones I like the markings on them so you can clip even and stitch even. I have these and they are great to use in binding a quilt. I recently completed a baby quilt and it made applying the binding a breeze! No more stuck fingers with straight pins. These clips are lightweight and fit onto the binding just right. I was surprised at how fast I was able to complete the binding. I love these clips and could always use more. So much better than the hair clips I used to use. Hi Lisa – so glad for the 12 days of Christmas this year! I recently purchased a package of these clips and found they came in very handy for a large quilt that I just put the binding on. The fabric stayed in place and the binding looks great! Thanks again! I use the hair clips, I much prefer them to pins. I’ve been wanting to try the wonder clips, just haven’t made the purchase yet. Another great prize, thanks! I love the small red ones and use them when I bind all sizes of quilts. I love not getting stuck with pins and so does my little dog when she jumps into my lap without any warning. I did not know about the larger ones but I may just need to try them too. I use the binding clips and love how they work. I don’t have enough to go all the way around a quilt. They are easily moved when needed. I still use the hair clip things when I do my binding. BUT, need to try these. Like one other customer, I have a Westie that LOVES to jump into my lap also with no warning, so it’s nice to not have to worry about her getting stuck wtih pins – and me too! I just move them along as I go. I love the little clips and I use them all the time when I am binding. Before I was introduced to the clips I used hairclips, which kept flipping off!! I’ve never used the clips, but I’ve read on various blogs where people love them. Right now I don’t use anything to hold the binding, just my hands as I go along. Being an accountant, I have used the traditional black metal binder clips – keeps the corners in place. Just got a small package of these and are trying them for the first time – a corner at a time. The red clips are easier to open while also trying to hold your fabric in place. I too have wondered why we need these clips. Some of my friends even use straight pins! My bindings are cut on the bias and seem to just roll around the edge of the quilt and I don’t need to clip anything. Now, after saying all that, I must admit that my hands are hurting before I’ve sewn very long. I’m sure these clips are in my future! Never used them, not sure they would help? I use these clips all the time for binding and even sometimes to hold something in place I am appliqueing! Ten is not enough – the 50 pack is what a quilter needs! I haven’re used the wonder clips but have used the metal hair clips when I think of it! By the time I get to the binding, I don’t want to be slowed down! I love these little wonder clips. They are great for holding block pieces together also. I use mine all the time when I am binding a quilt. Love, love, love them. I use the hair clip type clips. I just use 3 of them and keep moving them. I wonder if these new clips work better, my left hand does start hurting when sewing binding. I have the starter pack and really like them a lot. Wishing I bought a larger pack to begin with. I LOVE these clips, and I use them every day for something, and not necessarily quilt projects. I don’t use any kind of clips for binding, they seem to get in my way. I have these and I use them for other things in my sewing room. I use them to clip my blocks in groups of 10. I also use them with machine embroidery. I love these little clips! I got my first package as a Christmas gift and now I don’t see down a binding without them! I love to sew on bindings also! Always use the clips – they hold it so perfectly. I haven’t used these but sounds like it would make my life a lot easier when it comes to binding. Need to get some of these. Maybe I can will put these on my Christmas wish list and see if Santa brings some. Looking forward to seeing pictures of your new store. I have never used the clips but after reading your needful thing list and the rave comments left by other quilters, I will have to try them. I haven’t tried these. They seem like they could be really handy! I bought them to use on a particular project never intending to use it for binding. When my daughter was sewing down the binding on her first quilt I put a few on to make it easier for her and when I noticed how nice it held it down I tried it on my own binding. Since then I have been using them more and more. What a great notion! Hi Lisa! I look forward to visiting your California store! Currently, I use hair clips, but these clips look pretty cool! These clips are way cool. Would love to have more. Can’t wait to try. I keep looking at them, but think you don’t need them. Guess I do! Ha ha, I just used mine today! I am making a bag and had to add binding by machine and pins just didn’t do it, but the clips did! Woohoo !! They are great….. 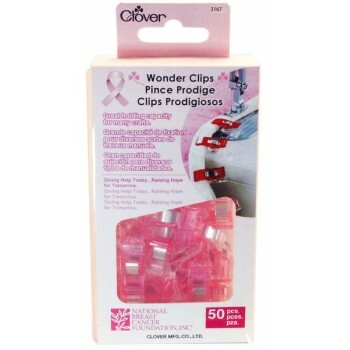 I have the 50-packs of both the red and pink wonder clips and I do use them. They are also great for holding thick fabric sandwiches like for bag-making; sometimes pins just won’t work. My best binding tip, however, is to press the binding to the back before clipping — what a difference!! Yes, I use these clips and love them. I broke my wrist last summer. The Wrist has healed but I have arthritis at the base of my thumb (says the Hand Doctor) and he’s right….it’s starting to ache from time to time. I’ll use anything to make the stitching easier. I have not used this style of binding clips but I do use the silver ones that look like barrettes all the time. I love the preview they give me of how the quilt will look once the binding is all stitched down. I have these some time now and I love them!!! I’ve used the metal clips and little binder clips but had not bought these. A friend gave me some of the small red ones and I like them! Lots of uses for them beyond binding! I agree they are a must have. They keep the edge of the quilt straight, flat and easy to make fast progress! They are a must. They stay where you put them so much better than the “hair clip” things I had used in the past! I have a couple pkgs of the ones that look like hair clips …..love them and like that I can put down the quilt and pick it up whenever and the binding is neatly in place waiting for me to finish stitching. I love these little things…use them multiple ways while I sew! They are so much better than anything else I have used! I really enjoy handstitching my binding, it’s so relaxing. I currently use the hair clip binders but would love to give these clips a try. 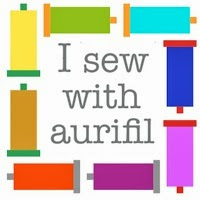 It is always good to know what other people think of all the quilting tools/resources that are available. I would love to win some of these little cuties! Several ladies at our quilt guild have these & love them! I just use pins . . . but my thread gets hung up on the pin heads . . . these would work so much better! Interesting reading all the comments, too. I use pins, tiny paper binder clips or those silver snap hair barrettes. These look way more convenient! I use these red clips, but haven’t tried the larger ones. They really help hold the binding in place, and I can drag the quilt all over without worrying about losing pins in the carpet to be found by the pets! I don’t use anything when I stitch my binding down but I think I will try these. Love these little things. Who would have thought! My daughter Amanda gave me a set of these last year, and I love them!! Gotta have more! I have only used pins to hold my binding while stitching it on. After reading some of these comments about how everyone loves them and other ways they are using them, I think I NEED them! I use antique hair clips but these would be better I’m sure. I just bought myself a set of these clips in Houston this year ….. and ….. just bound two quilts and forgot to use them 😦 Thanks for the reminder! I haven’t bond a quilt, but these sound wonderful. I guess I would use clothespins if I don’t have these clips. These are awesome ! Use them for a variety of uses.